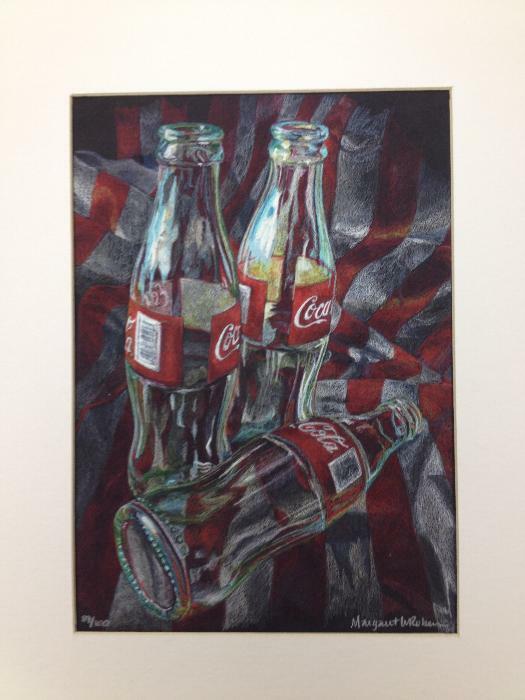 Limited edition "Coke bottle" art print created by Blythewood High School art teacher Margaret Roberson. Print is one of only 100. With custom white matting, print is 11"x14".